Haute Cuisine (Les saveurs du palais), an appetising comedy based on the extraordinary true story of Danièle Mazet-Delpeuch, private chef to President François Mitterrand, has been selected to launch the Alliance Francaise French Film Festival, commencing on the 5th March, 2013. Screening courtesy of Transmission Films and starring César award-winning actress, Catherine Frot, Haute Cuisine tells the tale of Hortense Laborie who, upon her appointment as personal chef to the President at the Elysée Palace, is faced with the challenge of creating culinary art in a world of political intrigue. It has also been announced that Danièle Mazet-Delpeuch will be a guest-of-honour at the Festival’s opening night in Sydney. Closing the festival will be Marcel Carné’s 1945 classic, Children of Paradise (Les enfants du paradis), a sweeping, period romance generally acknowledged as one of the greatest French films of all time, which has been meticulously restored from the original camera negative. The 2013 Festival will screen a banquet of 43 features and documentaries with courses to satisfy the most discerning cinematic tastes. Artistic Director, Emmanuelle Denavit-Feller, has selected the most critically acclaimed and entertaining films to emerge from France’s thriving movie industry throughout the last 12 months, which will be showcased across eight distinct categories encompassing such themes as the universality of love, art and cinema, suspense, tales from our past, stories beyond fiction and inspiring women. The 24th Festival’s extensive highlights, many of which have received 2013 César Award nominations, include Laurence Anyways, After May, Augustine, The Big Night, Camille Rewinds, Ernest & Celestine, Farewell My Queen, FEU by Christian Louboutin, Happiness Never Comes Alone, In the House, The Invisibles, Journal de France, Louise Wimmer, The Man Who Laughs, Our Children, Renoir, Sister, Thérèse Desqueyroux, and Marcel Carné’s 1945 masterpiece, Children of Paradise (Les Enfants du Paradis), which will screen on closing night via a gorgeously restored version. Here is a new clip from West of Memphis, limited release February 14, featuring Henry Rollins and Eddie Vedder. Produced by Peter Jackson and Fran Walsh, West Of Memphis is a powerful and provocative look into the untold story behind the infamous case of the "West Memphis 3" - three teenagers who were imprisoned for a heinous crime, despite overwhelming evidence of their innocence. Acclaimed filmmaker Amy Berg (Deliver Us from Evil) chronicles their trial, conviction, and the subsequent investigation that generated the movement to prove their innocence, which involved everyone from grassroots supporters to celebrated artists and musicians. The film features original music by Nick Cave and Warren Ellis. Screenshot taken from Letterboxd profile. Written and directed by Craig Zobel, Compliance premiered twelve months ago at the Sundance Film Festival. When a prank caller claiming to be a police officer convinces Sandra (Ann Dowd), a location manager at a fast food chain, that one of her register staff, Becky (Dreama Walker), has stolen money from a customer that evening; she complies with the caller’s requests without question (no matter how unlike protocol and inappropriate). Sandra is initially manipulated into keeping Becky under supervision in the back of the store, confiscating her possessions and ordering a strip search, but as Sandra enlists different supervisors, including her partner Van (Bill Camp), the procedure takes increasingly sinister turns. What transpires in this film is inspired by true cases – and as the shocking stat reveal at the conclusion claims, not just one – meaning that this film can’t be ignored. Zobel, by bringing these baffling events to the screen, creates a confronting and fascinating experience. He builds a claustrophobic location and mounts tension with some inventive direction. If you know this prior to watching the film then I think it is easier to accept the actions of the characters. If you don’t, then it is very difficult to believe that these events took place and it is even hard to sympathise with the victims. This was my problem. When I was watching Compliance I had to resist the urge to stop it. I got a sense of what was coming and feared for Becky. This is an extremely unsettling expose about our perception of authoritative hierarchy and how one can lose sight of their morals when their role is required to exceed their jurisdiction. Against better judgment, how far do you accept the orders of a perceived higher authority? With such a distressing moral dilemma at the core, Compliance has haunted audiences and if you have ever worked in customer service, will leave you wondering how you would handle such a situation. I feel I must warn you that this film is far from entertaining and will likely leave you squirming in your seat, and create a sick feeling in the pit of your stomach. Thursday 31st Jan. marks the strongest release dates of the year so far - promising three terrific films, each nominated for at least two Academy Awards. Silver Linings Playbook (David O. Russell), Zero Dark Thirty (Kathryn Bigelow) and Flight (Robert Zemeckis) come highly recommended. Zero Dark Thirty - Maya (Jessica Chastain), a CIA operative recruited out of High School, is assigned to the U.S embassy in Pakistan to lead a hunt for the al-Qaeda leader. She targets men believed to have been one-time acquaintances – couriers and money men – in the hopes that they can shed further insight on important members of his inner circle and ultimately his location. Over the course of the grueling investigation, which involves the torture of detainees for intelligence, until new administration threatens to prosecute any officers involved, and the search for the true identity of Maya’s primary lead, her life is threatened several times. 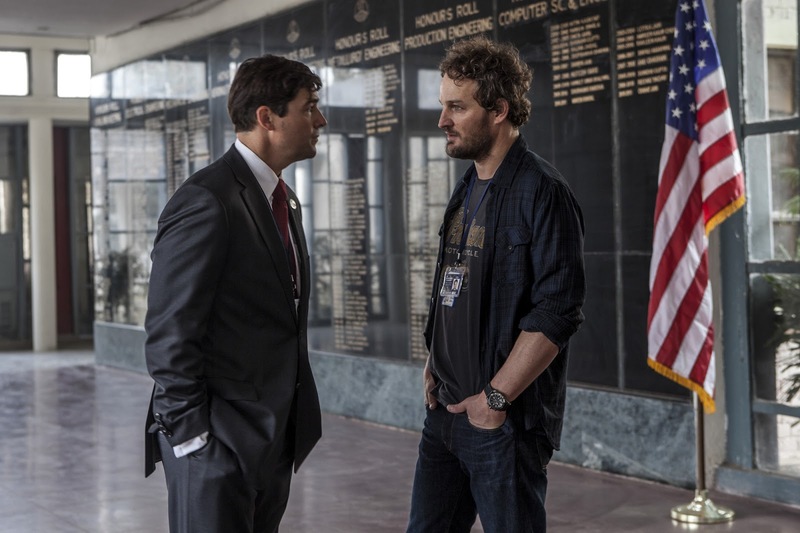 Significant attacks during this period are recreated and despite losing agents and facing dead ends, Maya desperately tries to persuade her superiors to continue funding the investigation. By taking a stance that doesn’t adopt a singular political perspective, Boal and Bigelow rely on facts and chronicle this thrilling manhunt via the experiences of a driven female operative, posing challenging questions along the way. 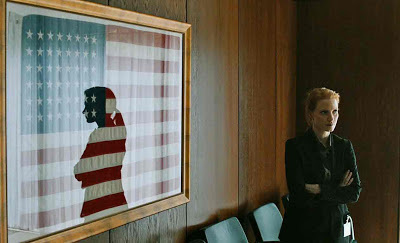 Zero Dark Thirty is as tense as any great thriller, but the drama swelling within the agency creates characters and situations we care about. Overlooking Bigelow for Best Director is a mystery to me. To so convincingly convey a story of this magnitude and importance and keep an audience glued to their seat for the duration is highly commendable work, and is even more impressive than her last film (The Hurt Locker), arguably one of great war films of the last decade. Silver Linings Playbook - Life doesn't always go according to plan. Pat Solatano (Bradley Cooper) has lost everything -- his house, his job, and his wife. He now finds himself living back with his mother (Jacki Weaver) and father (Robert DeNiro) after spending eight months is a state institution on a plea bargain. Pat is determined to rebuild his life, remain positive and reunite with his wife, despite the challenging circumstances of their separation. All Pat's parents want is for him to get back on his feet-and to share their family's obsession with the Philadelphia Eagles football team. When Pat meets Tiffany (Jennifer Lawrence), a mysterious girl with problems of her own, things get complicated. Tiffany offers to help Pat reconnect with his wife, but only if he'll do something very important for her in return. As their deal plays out, an unexpected bond begins to form between them, and silver linings appear in both of their lives. Flight - An excellent Denzel Washington (a performance thoroughly deserving of his recent Oscar nomination and amongst his career best work) stars as Whip Whitaker, a Navy veteran and airline pilot who we first meet waking up from a big night with a young naked woman in his bed. A tense phone call reveals he has an ex-wife and a misguided son, and the state of the room suggests they are likely battling hangovers. Whip and the young woman (Nadine Velasquez) – revealed to be one of his flight attendants – have a flight in less than two hours and to kick the hangover he does a line of cocaine. During the short flight between Orlando and Atlanta – on which we witness Whip indulge in further beverages – he encounters severe turbulence before the plane begins to seriously malfunction and fall apart. Taking advantage of unexpected adrenalin he manages to invert the plane to stop a nosedive, and then maneuver the gliding airline into a crash land in an empty field. His actions are miraculous and though six people lose their lives, the plane’s faults should have resulted in the death of everyone on board. His heroics are soon challenged when hospital blood tests reveal his intoxication, and with answers sought after an investigation ensues seeking to uncover the cause of the accident. Weekly Recommendation: All fantastic films. Make 'Zero Dark Thirty' and 'Silver Linings Playbook' the priorities, but 'Flight' is well worth your time too. I was first introduced to German auteur F.W Murnau, and some of the great works of silent cinema, when I first watched Nosferatu, a horror masterpiece in every sense of the word, during university film studies. I was in awe, and along with The Cabinet of Dr. Caligari and Metropolis I briefly fell in love with German Expressionist filmmaking. 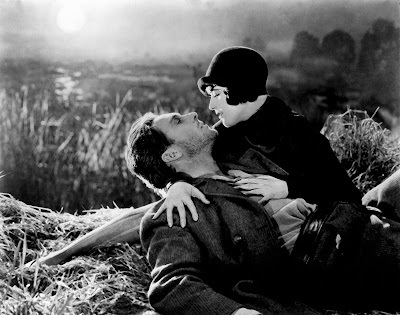 Since then I have not made the effort to seek out any more of Murnau's feature films, even when my interest in Sunrise: A Song Of Two Humans was piqued when it appeared in the Top 10 of two fellow bloggers' Top 100 Favourite Films lists (I thank James at Cinema Sights and Stevee at Cinematic Paradox for this interest). It immediately registered as an essential. When I was creating my 2013 Blind Spot list it was one of the first I considered. Having now watched this miracle of silent cinema - and if you're seeking it out, it is available on Youtube, and doesn't lose any of its stunning imagery - I can attest to the claim that it is one of the finest silent films ever made. 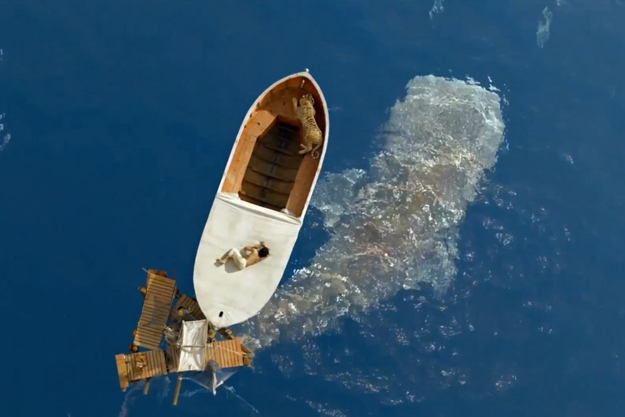 It is certainly an unforgettable experience and a film you'd swear was not made in 1927. On the recent Sight and Sound poll, Sunrise was voted as the 5th best feature film ever made. Just when you thought that Robert Zemeckis’ (Forrest Gump) return to live action cinema (after a decade of performance capture animated features) was going to be a disaster film, it takes a surprising turn following a terrifying and thrilling flight sequence, delving into a complex character study about an alcoholic pilot struggling to redeem himself to match those of his credited professional heroics. An excellent Denzel Washington (a performance thoroughly deserving of his recent Oscar nomination and amongst his career best work) stars as Whip Whitaker, a Navy veteran and airline pilot who we first meet waking up from a big night with a young naked woman in his bed. A tense phone call reveals he has an ex-wife and a misguided son, and the state of the room suggests they are likely battling hangovers. Whip and the young woman (Nadine Velasquez) – revealed to be one of his flight attendants – have a flight in less than two hours and to kick the hangover he does a line of cocaine. During the short flight between Orlando and Atlanta – on which we witness Whip indulge in further beverages – he encounters severe turbulence before the plane begins to seriously malfunction and fall apart. Taking advantage of unexpected adrenalin he, with the assistance of his co-pilot and one of his attendants, manages to invert the plane to stop a nosedive, and then maneuver the gliding airline into a crash land in an empty field. His actions are miraculous and though six people lose their lives, the plane’s faults should have resulted in the death of everyone on board. His heroics are soon challenged when hospital blood tests reveal his intoxication, and with answers sought after an investigation ensues seeking to uncover the cause of the accident. He gains support from his forgiving friend (Bruce Greenwood) and confident and capable attorney (Don Cheadle), while succumbing to his demons to a destructive extreme. The Impossible, director Juan Antonio Bayona’s second feature film following the atmospheric haunted house thriller, The Orphanage (2007), focuses on the tragic Boxing Day Tsunami of 2004 that killed 230,000 people, conveying the ordeal through the experiences of one family. A husband and wife, Maria (Naomi Watts) and Henry (Ewan McGregor), and their three young sons (Tom Holland, Samuel Joslin and Oaklee Pedergast), have decided to spend Christmas at a beachside resort in Thailand. On Boxing Day they are spending the day at the pool. All of sudden, a faint roar can be heard out at sea, birds can be seen flying in the opposite direction and the ground trembles, signifying the arrival of the Tsunami. The pool dwellers have no time to escape as the wave completely destroys the buildings along the coast and hurtles inland, sweeping up Marie and Lucas (Holland). They reunite after being thrown about for a while in the fierce rapids, and the locals assist in escorting a seriously injured Maria to a nearby hospital. This is unbeknownst to Henry and the two younger sons, who have not given up hope but have been since searching in vain. New in cinemas this week: Quentin Tarantino's new film, Django Unchained, a screen recreation of the 2004 Boxing Day Tsunami, The Impossible and a road comedy starring Seth Rogen and Barbara Streisand, The Guilt Trip. Django Unchained - Set in the South two years before the Civil War, Django Unchained stars Jamie Foxx as Django, a slave whose brutal history with his former owners lands him face-to-face with German-born bounty hunter Dr. King Schultz (Christoph Waltz). Schultz is on the trail of the murderous Brittle brothers, and only Django can lead him to his bounty. Honing vital hunting skills, Django remains focused on one goal: finding and rescuing Broomhilda (Kerry Washington), the wife he lost to the slave trade long ago. Django and Schultz's search ultimately leads them to Calvin Candie (Leonardo DiCaprio), the proprietor of "Candyland," an infamous plantation. Exploring the compound under false pretenses, Django and Schultz arouse the suspicion of Stephen (Samuel L. Jackson), Candie's trusted house slave. The Impossible - A husband and wife, Maria (Naomi Watts) and Henry (Ewan McGregor), and their three young sons (Tom Holland, Samuel Joslin and Oaklee Pedergast), have decided to spend Christmas at a beachside resort in Thailand. On Boxing Day they are spending the day at the pool. All of sudden, a faint roar can be heard out at sea, birds can be seen flying in the opposite direction and the ground trembles, signifying the arrival of the Tsunami. The pool dwellers have no time to escape as the wave completely destroys the buildings along the coast and hurtles inland, sweeping up Marie and Lucas (Holland). They reunite after being thrown about for a while in the fierce rapids, and the locals assist in escorting a seriously injured Maria to a nearby hospital. This is unbeknownst to Henry and the two younger sons, who have not given up hope but have been since searching in vain. The Guilt Trip - Andy (Rogen) invents a new organic cleaning product and he plans a sales trip across America, with a pit stop to visit his widowed mother Joyce (Streisand). Andy can’t resist inviting Joyce on the trip as a means to reunite her with her former love. Let the nagging ensue. 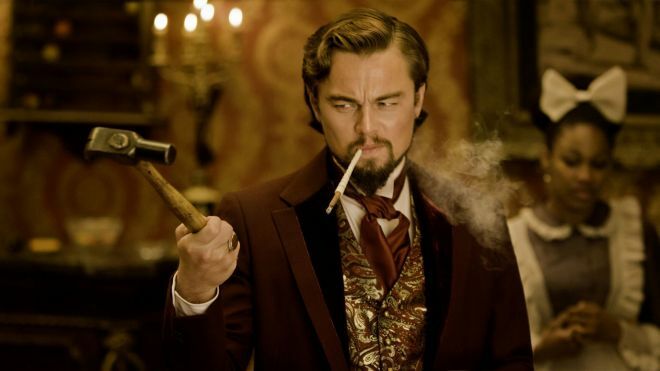 Weekly Recommendation: Django Unchained is essential viewing. It is gleefully funny, brutal, bloody and confronting and features phenomenal performances from Foxx, Waltz, DiCaprio and Jackson. The Impossible, a towering technical feat, and also well performed, is worth your time too. Kathryn Bigelow’s follow up to her 2009 multiple Academy Award winner, The Hurt Locker, has sparked plenty of debate following a swift journey from the headlines to the screen. The hunt by the CIA for Osama Bin Laden, the terrorist believed to be the orchestrator of the 9/11 attacks, was a decade-spanning investigation fraught with tragedy, with his death announced less than two years ago. Bigelow has once again teamed up with journalist and screenwriting collaborator Mark Boal, and much like The Hurt Locker, Zero Dark Thirty is not structured like most feature films. It is comprised of tightly chronicled episodes; significant individual chapters over the investigated period relayed sequentially and encapsulated by a narrative and fascinating character study. Expecting less an action film than a tense and evocative procedural/bureaucratic struggle, I left the cinema shaken, and further contemplation has left me assured that it is a remarkable filmmaking achievement worthy of the lofty praise bestowed upon it. Maya (Jessica Chastain), a CIA operative recruited out of High School, is assigned to the U.S embassy in Pakistan to lead a hunt for the al-Qaeda leader. She targets men believed to have been one-time acquaintances – couriers and moneymen – in the hopes that they can shed further insight on important members of his inner circle and ultimately his location. Over the course of the grueling investigation, which involves the torture of detainees for intelligence, until new administration threatens to prosecute any officers involved, and the search for the true identity of Maya’s primary lead, her life is threatened several times. Significant attacks during this period are recreated and despite losing agents and facing dead ends, Maya desperately tries to persuade her superiors to continue funding the investigation. A new Quentin Tarantino film is always an exciting addition to the cinema year, and with his latest, Django Unchained, I was once again blown out of my chair. It is further evidence that QT, an unabashed film lover whose screenplays possess some of the sharpest and funniest dialogue to ever grace the screen, is one of the most daring filmmakers in the business. Here he tackles pre-Civil War era America, with racism and slavery at its most despicable, in the style of a Spaghetti Western. Like his 2009 masterpiece, Inglourious Basterds, he re-writes the history books his own way, offering up a canvas equally entertaining and confronting. With stunningly orchestrated and meticulously coordinated set pieces, equipped with hilarious exchanges, bursts of bloody violence and terrific musical accompaniment, Tarantino displays a veteran sense of shrewd consideration and effortless assurance. 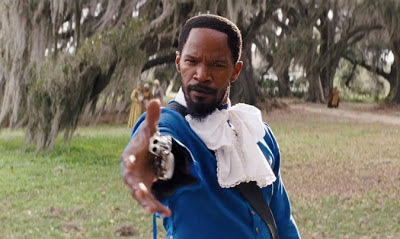 We are first introduced to the titular Django (Jamie Foxx) as a male slave being transported across Texas as part of a chain gang. An encounter with Dr. King Schultz (Christoph Waltz), a German travelling dentist-turned-bounty hunter, leads to Django’s freedom and the formation of an agreement between the unlikely pair. Django is to help Schultz search for and identify a trio of ruthless killers, and he in turn will be sent on his way. Their adventures result in Schultz molding Django into his associate, and when Django reveals that his wife, Broomhilda (Kerry Washington), was sold away from him years earlier, they decide to locate her. Schultz creates a guise for the pair as potential purchasers of a Mandingo fighter – slaves forced to fight to their deaths for entertainment and gambling purposes – and devises a plan to free her from her current owner, the charismatic but merciless Calvin Candie (Leonardo DiCaprio), proprietor of a thriving plantation known as Candyland. New to cinemas this week following a pretty average week of releases, and preceding a flurry of highly anticipated Academy Award-nominated films, is This is 40, You Will Meet A Tall Dark Stranger and Compliance. This is 40 - Writer/director/producer Judd Apatow (The 40-Year-Old Virgin, Funny People) brings audiences This Is 40, an original comedy that expands upon the story of Pete (Paul Rudd) and Debbie (Leslie Mann) from the blockbuster hit Knocked Up as we see first-hand how they are dealing with their current state of life. You Will Meet A Tall Dark Stranger - Two couples find their lives turned upside down by their unfulfilled longings in this ensemble comedy from director Woody Allen. Alfie (Anthony Hopkins) and Helena (Gemma Jones) have been married for years. They have a grown-up daughter named Sally (Naomi Watts), who is married to a successful novelist named Roy (Josh Brolin), but finds the future of her marriage in jeopardy after falling for Greg (Antonio Banderas), the dapper owner of a prominent art gallery. Meanwhile, as Roy develops a fixation on Dia (Freida Pinto), an exotic beauty he encounters on the street, Alfie ditches Helena for Charmaine (Lucy Punch), an impressionable young call girl. Now it seems that the harder everyone tries runs away from their problems, the faster their lives seem to fall apart. Compliance - Becky and Sandra aren't the best of friends. Sandra is a middle-aged manager at a fast-food restaurant; Becky is a teenaged counter girl who really needs the job. One stressful day (too many customers and too little bacon), a police officer calls, accusing Becky of stealing money from a customer's purse, which she vehemently denies. Sandra, overwhelmed by her managerial responsibilities, complies with the officer's orders to detain Becky. This choice begins a nightmare that tragically blurs the lines between expedience and prudence, legality and reason. Weekly Recommendation: I intend to check out Compliance this weekend, having heard very good things about it, and I have been championing This is 40 for about a month now. If you enjoyed Judd Apatow's other films then you are sure to like this. Offering up consistent laughs, courtesy of the intelligent writing and excellent performances from the two leads and an ensemble of hilarious cameos, This is 40 also whacks an emotional punch. 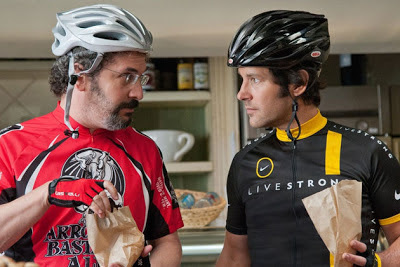 Apatow's most honest and intimate film to date. Head over to Graffiti With Punctuation for the full list of nominees and my reactions to each of the categories. The announcement was a crazy few minutes, and an experience I likely won't forget any time soon. It is a wide open field (though Lincoln is inarguably the favourite) and the Academy could have more surprises in store. 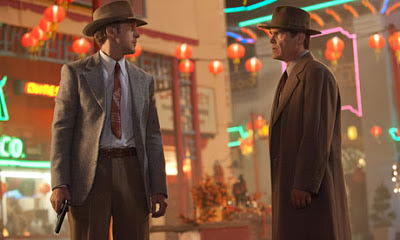 Gangster Squad, Ruben Fleischer’s (Zombieland, 30 Minutes or Less) Los Angeles gangster noir, has made a much-publicised journey to screens. Following the cinema shooting tragedy in Aurora, trailers were pulled from running before features and there were announced re-shoots to key sequences – one apparently involving the characters shooting at moviegoers with submachine guns. With a dunderheaded cliché-heavy screenplay, and nonsensical stylistic indulgences aplenty, a host of talented actors are unfortunately short-changed by this bland, cartoonish endeavour that sways between being violent and nasty and woefully miscued farce. Mickey Cohen (Sean Penn), a ruthless Brooklyn-born gangster, will soon have his hand in the entirety of the wire betting west of Chicago, in addition to his Los Angeles gambling, drug and prostitution rackets. He has most of the police force, as well as influential judges and politicians, in his pocket and no one dares to cross him. Following an individual vigilante crackdown of one of Cohen’s rings, Sgt. John O’Mara (Josh Brolin) is approached by his police chief (Nick Nolte) and asked to put together a squad – a ragtag band of trustworthy detectives and uniformed police alike, including O’Mara’s friend and fellow war vet Jerry Wooters (Ryan Gosling) – that would operate outside of the LAPD jurisdiction in a brash attempt to foil Cohen’s potential financial benefits and take down his gang. As I have done over the last few years, I have proposed my predictions for the 85th Academy Award nominations. Take note, I have been unable to catch some of the main contenders, so most of these picks are courtesy of 'informed speculation', but as I find the nominations more exciting than the actual awards (the winners have been pretty easy to predict the last few years) it's always a fun project. The nominees can be found in a tab in my blog header and at Graffiti With Punctuation. Gangster Squad: Los Angeles, 1949. Ruthless, Brooklyn-born mob king Mickey Cohen (Sean Penn) runs the show in this town, reaping the ill-gotten gains from the drugs, the guns, the prostitutes and-if he has his way-every wire bet placed west of Chicago. And he does it all with the protection of not only his own paid goons, but also the police and the politicians who are under his control. It's enough to intimidate even the bravest, street-hardened cop...except, perhaps, for the small, secret crew of LAPD outsiders led by Sgt. John O'Mara (Josh Brolin) and Jerry Wooters (Ryan Gosling), who come together to try to tear Cohen's world apart. Hitchcock: a love story about one of the most influential filmmakers of the last century, Alfred Hitchcock (Anthony Hopkins) and his wife and partner Alma Reville (Helen Mirren). The film takes place during the making of Hitchcock's seminal movie Psycho. ParaNorman: The new 3D stop-motion comedy thriller from animation company LAIKA, reteaming the company with Focus Features after the groundbreaking Academy Award-nominated Coraline. ParaNorman is, following Coraline, the company's second stop-motion animated feature to be made in 3D. In ParaNorman, a small town comes under siege by zombies. Who can it call? Only misunderstood local boy Norman (Kodi Smit-McPhee), who is able to speak with the dead. In addition to the zombies, he'll have to take on ghosts, witches and, worst, of all, grown-ups, to save his town from a centuries-old curse. But this young ghoul whisperer may find his paranormal activities pushed to their otherworldly limits. Hitchcock's reception has been far from flattering. Some have described it as a shallow, mediocre TV movie-esque biopic. Others have praised the performances and thoroughly enjoyed it. The consensus suggests it will please plenty but is not essential viewing. Gangster Squad is not recommended - a cartoonish, woefully scripted LA noir with a conglomeration of genre cliches, and some ludicrous characters. 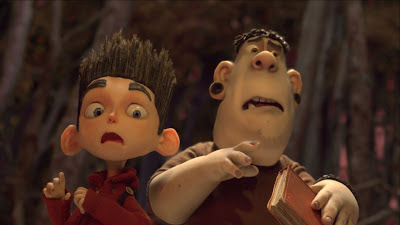 ParaNorman has been well received and is a likely Oscar-nominee for Best Animate Feature. I am looking forward to checking it out this week myself. If you haven't yet seen the new Tom Cruise thriller, Jack Reacher, it is also worth a look. The Rules: ANY Film released in an Australian cinema in 2012 + any films I have seen at a festival or via screener that have not had a general release. This is a HUGE list of films to select from, but doesn't include some of the U.S 2012 releases (Life of Pi, Django Unchained, Zero Dark Thirty, The Silver Linings Playbook and Lincoln) not yet released in Australian cinemas. As a result of the large volume of films, there will be six slots for each category and the winner marked in BOLD. Now, it is very likely I have forgotten to include some worthy nominees, but when reflecting on an entire year of film it is hard just narrowing the categories down to six. Thoughts? 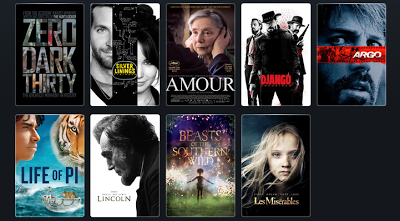 Having already watched The Imposter, Undefeated and Searching For Sugar Man in 2012 I was pretty content with the year for documentaries, despite having seen very few of the Oscar short list. 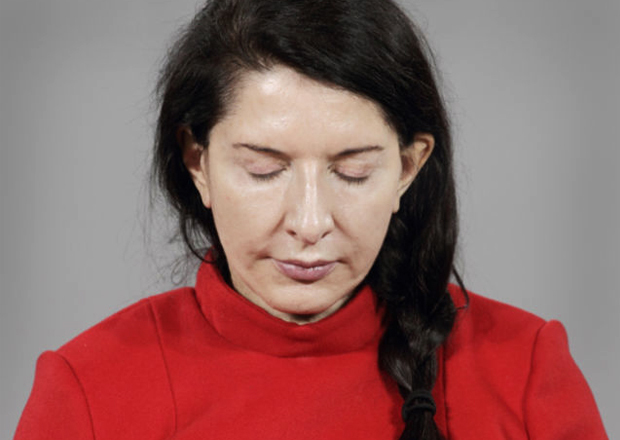 Then along came Marina Abramovic: The Artist is Present, a powerful and inspiring film that many of my friends understandably raved about after the screening at the Melbourne International Film Festival. It follows Serbian performance artist Marina Abramovic as she prepares for a retrospective of her work at the Museum of Modern Art in New York (MoMA). In addition to the presence of stills and projected videos of her life's work, Marina has hired young performance artists to recreate some of her most provocative works. Marina also desires to put herself in the retrospective - an admirably ambitious work described by the curator as a 'self portrait'. For the entire duration of the retrospective (something like three months) and the museum's daily opening hours, Marina will be sitting alone (not moving or talking and barely expressing) at a table with an empty chair opposite her. Visitors can sit opposite her, share her space and experience her vulnerability all for themselves.